The interim leadership of the Association of Liberian Journalists in the Americas (ALJA) says the recent suspension of the Press Union of Liberia (PUL) Vice President, Jallah Grayfield by the union’s executive committee is a significant step aimed at curtailing ethical transgressions in the Liberian media. It says it supports the PUL for the corrective action taken against the suspended vice president and further called on the PUL to stand firm in penalizing Liberian journalists who willfully choose to engage in malpractices in the name of the union. ALJA thanked the PUL President Abdullai Kamara and the chairman of the union’s Grievance and Ethics Committee Frank Sainworla for the outstanding stewardship demonstrated in savaging the image and credibility of the PUL and the Liberian media as a whole in the wake of Mr. Grayfield and his co-conspirators’ bogus honoring ceremony. 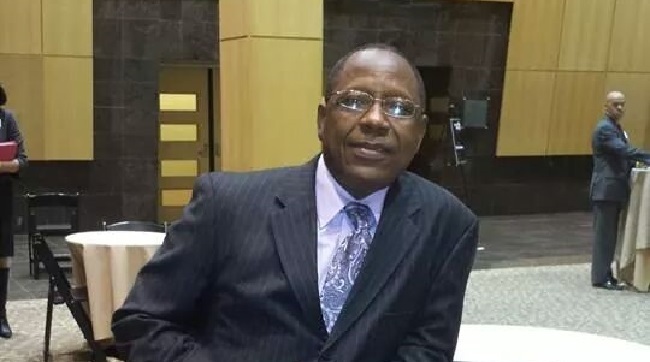 The PUL leadership recently suspended Vice President Grayfield for one month without benefits for his participation in a fake “PUL Prestigious Award” ceremony which was organized by the National Publishers and Broadcasters Association headed by Liberian journalist Rufus Paul. The bogus award was presented to Mr.Ceebee C.D. Barshell, a local Liberian businessman on Friday, February 13. ALJA described the involvement of Mr. Grayfield in the fraudulent honouring ceremony conducted in the name of the PUL as unfortunate. ALJA maintained that if, the roles of the Union and the Liberian media are to be taken seriously in the fight against graft in the country, it is imperative for the deeds of journalists in the public domains to be above the fray. The association said the suspension would serve as a deterrent to others, who may decide to emulate the action of the PUL Vice President and his collaborators. ALJA noted it is hypocritical for Liberian journalists, who are considered the watch dogs of the country to go after public officials and private citizens under the guise of fighting corruption while indulging in similar acts. Meanwhile, ALJA is commending the PUL leadership and its membership on the Union’s planned mini-congress to be held on March 13th and 14th in Monrovia, the Liberian capital. The association says it welcomes the gathering, which is expected to high-light the welfare, low salaries, and better working conditions of Liberian journalists as part of the deliberations. ALJA said poverty remains a key hurdle to media development in Liberia and lauded the PUL leadership for the strides it is making in improving the living and working conditions of Liberian journalists.